We are throwing it back to a few weeks ago to when Fashion Month was dominating our social medias. We have put together our favourite prints from the shows in the fashion capitals, including flirty florals, tapestries and bold graphics. Alice + Olivia, as usual, was all about the 70s vibes. We were ready for the disco lights, with psychedelic shapes and flared silhouettes. 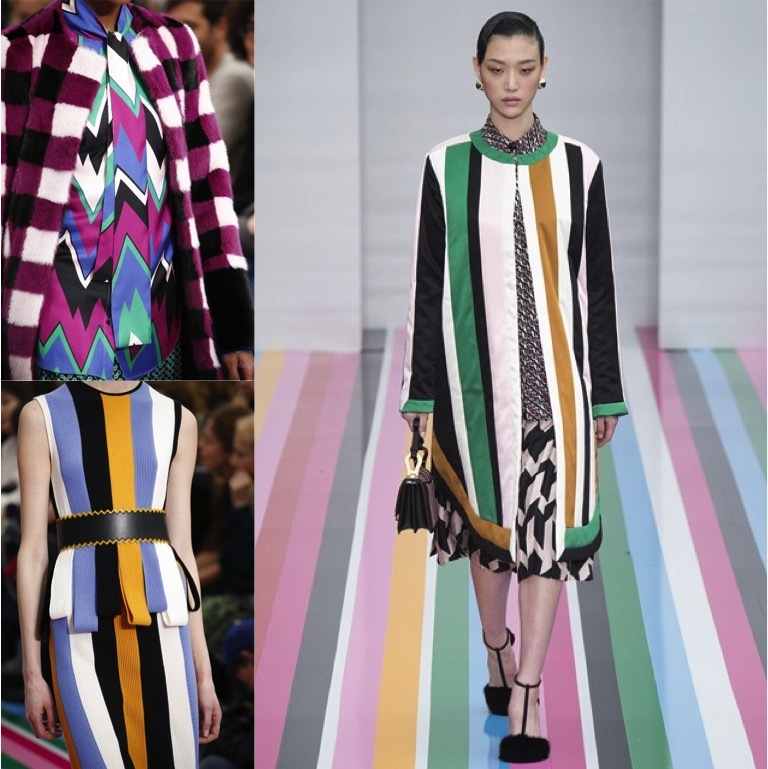 Bold, colourful prints are always a winner in our eyes! Another designer influenced by the 70s, DVF used pretty floral prints and subtly flattering shapes and lines. 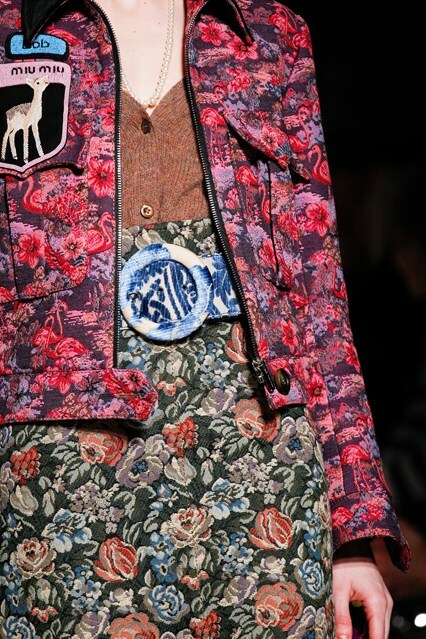 Miu Miu was full of rich floral tapestry designs in heavier fabrics – a big trend to come in the colder months. 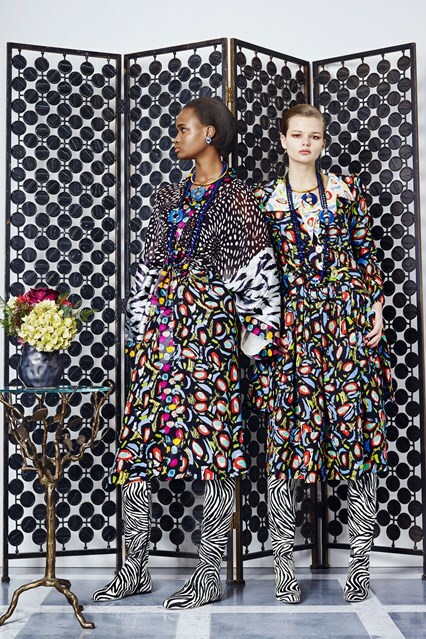 Duro Olowu has created another print-filled collection. He has remained an expert at clashing prints and bright colours. 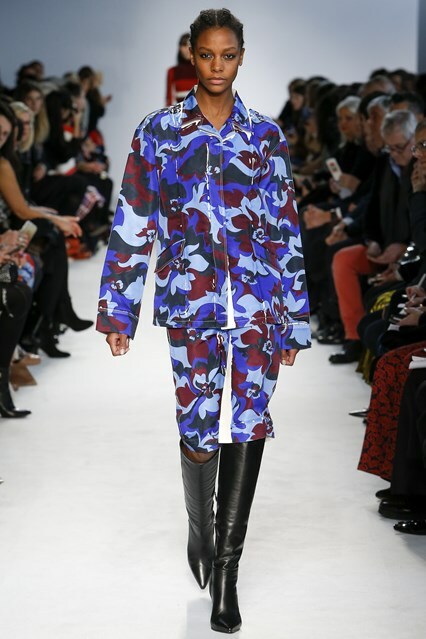 Bold graphic prints filled Pucci’s catwalk with geometric shapes and hints of camouflage. Bright reds and blues seemed to be the favourite colour match. More bold prints from Salvatore Ferragamo – sharp zig-zags and stripes are paired with monochrome and sweet candy colours.